Connect your thumb drive or other USB device conveniently with the USBG-EX6W1 USB 2.0 docking extension cable. 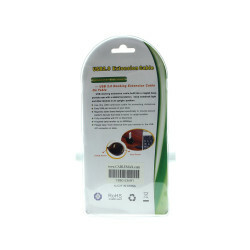 The USB extension cable provides 6 additional feet from you PC for easy connectivity. The USB 2.0 docking extension cable extends the USB connection from your PC or Mac system up to 1.8 meters or 6ft. 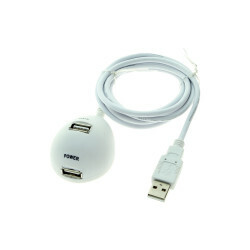 The USB 2.0 extension cable incorporates two distinct ports, one used for data and power, the other used for power only. The 6ft. 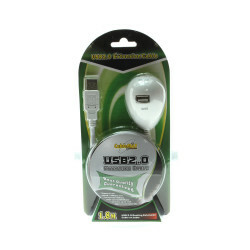 USB 2.0 docking extension cable has a built-in magnetic base to provide a stable foundation when in use with stand up USB devices such as a USB powered light.